Styled with o ring straw tote . 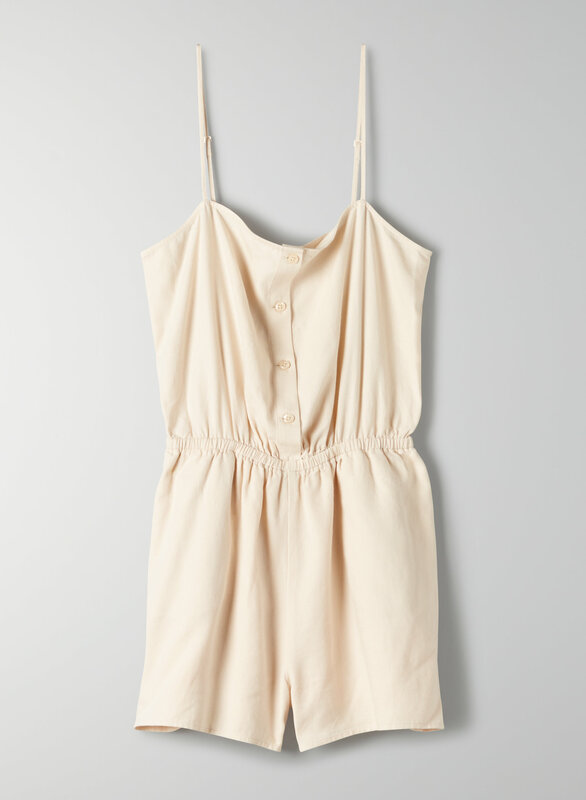 This is a sleeveless romper with a square neckline, adjustable straps and functional buttons down the front. It's made with a soft and textural linen blend.